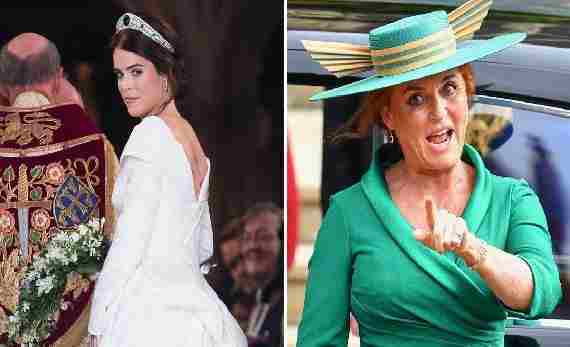 I am appalled at Sarah Ferguson’s claim that her newly-married daughter Princess Eugenie would have been “put in an asylum and locked up” had the royal suffered from her rare spinal condition scoliosis in another country. How insensitive and irresponsible to utter such an uncorroborated statement. I am not surprised at this idiotic royal who was a terrible mother to her 2 girls when they were growing up. However, it irks me to see the media publish nonsense just because someone is a celebrity. This is the mother who was frequently seen in the company of other men when Eugenie was just 2 years. Her excuse for indiscretions was her husband was overseas and she was alone. Couldn’t she focus and take care of her children then? Only someone as crass as Sarah Ferguson would over exaggerate her daughter’s spinal condition. 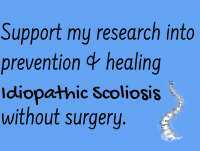 Scoliosis is not a mental illness – it is a curvature of the spine which was successfully surgically corrected. Eugenie would not be put in an asylum in any country due to her having scoliosis. Doesn’t this mother know how psychologically traumatizing a medical condition like scoliosis is to one’s self-esteem? Sadly, this claim has undermined her daughter Eugenie’s efforts at reducing the shame associated with this condition. Scoliosis shapes not just our body image but also our confidence while realating to the world. When Princess Eugenie showed off her scoliosis surgery scar to the world on her wedding day, she diminished the shame most of us scoliosis sufferers experience due to our deformity. My heart soared seeing Eugenie and her loving father, Prince Andrew walk down the aisle to meet a proud groom. Scoliosis need not define you as a person, you are a lovely human being – twisted body and all. She forever changed how scoliosis is viewed – you are beautiful despite your physical imperfections. You are not your deformity or your scars. It was a liberating moment for all of us. By the way which country is the dafty duchess talking about? Africa? India? Isn’t it of rather poor taste to assume things about the world. When a mother who is a celebrity portrays scoliosis as a condition that requires one to be locked up in an asylum it shows her very low I.Q. As an Indian, who spent years with a crooked body, no one thought I should be locked up. But having a crooked spine does f**k up your self-esteem and how others view you. It is a double whammy. You are a freak that no one wants to associate with. Yes, you are sidelined and pitied. Your family would rather you were not there. Your friends don’t want to hang out with you. They are ashamed to be with you. You hate your body, and feel you will die of shame. You do feel like Quasimodo the Hunchback of Notre Dame who hides in the tower pining for all the things you cannot do or have because you have scoliosis..
Nobody wants to be with an alien-looking creature. However, you will not be ‘locked up’, because you are not mad, but you could go mad with the emotional pain and rejection. Moreover, as patron of the charity Street Child which supposedly works in poor African and Asian countries, shouldn’t she speak more respectfully when referencing the world. I wish these royals who live in their fish-bowl existence stop making a fool of themselves and undermining the self-esteem of so many scoliosis sufferers. Scoliosis besides being deforming is extremely painful. And surgery is not really a cure. It straightens your spine but many a time the pain may get worse. I wish Princess Eugenie would not make surgery the only solution to this condition. Moreover, usually, there are further surgeries for many. Maybe, Princess Eugenie is lucky, she had the best doctors and treatment. She does not have to deal with the stress of daily existence and has a huge support system. All these matters in the success of the surgery. From what I have read, in the UK the waiting-list in NHS for scoliosis surgery is a long. This is the cheapest option for most. Private treatment is really expensive in the UK which very few can afford, Sadly, not everyone has a kindly benefactor like Simon Cowell to fund their scoliosis surgery. So. are the unlucky ones in Britain who have to live with their twisted spines due to financial limitations ‘locked up’ too.? I am firmly convinced that idiopathic scoliosis is not some genetic disorder, it is the manifestation of the mind-body disequilibrium brought on by Adverse Childhood Experiences (ACEs). Today at age 51, as my childhood trauma is released my spine has become straighter. As a society, we will never progress if we have terrible mothers who went off getting their toes sucked, instead of supporting and caring for their helpless kids. In all probability, Eugenie would never have had scoliosis. We need to stop giving undue credence to royals and celebrities who are poor role models and don’t have the good sense to keep their mouths shut. Do your shopping at Amazon from links in this blog. Natural Birth & Breastfeeding: Replaceable? Disclaimer: I am not a qualified medical practitioner; content on this site is for informational purposes only. Readers are advised to consult with a medical practitioner for any physical or emotional issues.